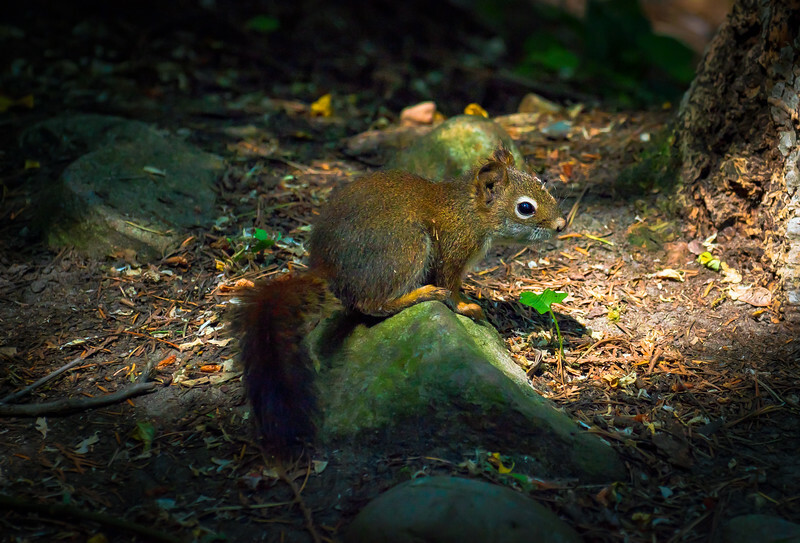 Wildlife from the West Kootenays of BC, as well as domestic companions. Surprised this little fellow while out for a walk. He either was preoccupied or just didn't hear me coming because of the soft mulch.